Looking to give Volkswagen a run for its money, Skoda is already planning big launches for the Indian market. One of them is the Fabia Scout. Skoda is planning to get this mean and meaty machine to India by the end of 2011 and also has plans to display it at the Auto Expo in January 2012. The Fabia Scout is basically a facelift version of the standard Skoda Fabia with minor altercations for better off-road handling capability. From whatever is known till now, the Fabia Scout is based on the older Fabia platform and will surely have much larger boot storage than its older cousin. 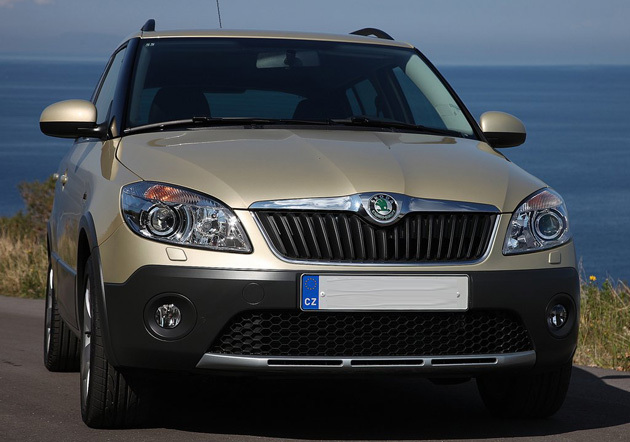 Sources at Skoda told Indian Drives that the Fabia Scout will hit the Indian market either at the end of 2011 or at the commencement of 2012. Although, the Scout has been built to survive tough driving conditions, actual changes made to the car are very few. If you take a good look at the car, you’ll see that the suspension of the Fabia Scout is placed a little higher compared to the earlier Fabia platform. This has been done to give the Fabia Scout a better driving capability on poorly paved roads which is, as we all know, a common site in India. 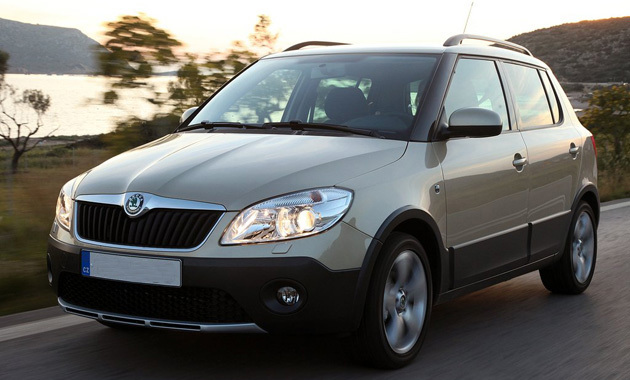 As a result, the Fabia Scout has a much better ground clearance and can glide over tough terrains without much problem. In appearance, the Fabia Scout looks quite different from standard Fabia models. Scratch and gravel-resistant cladding has been used for the underside of the doors, the wheel arches and the rear of the car. But there are a certain things about the Indian Scout that sets it apart from its European counterpart. For instance, the Indian model of the Scout will have a nose and a front bumper similar to the standard Fabia, while Scouts in the markets abroad has fully clad bumper with sunk-in fog lamps. The Indian version will also be devoid of any roof-rails and alloy wheels seen on the European versions. As of now, the powertrain of the Fabia Scout will include Skoda’s famed 1.6L 105bhp petrol engine. But sources tell us that in the near future 1.2L three-cylinder petrol and diesel engines may be made available as well. But not everything with the Scout is hunky-dory. Since it is only a front wheel drive vehicle, it has only limited off-roading capability and might find it difficult to cross anything more than just a dirt road. The primary reason for this is certainly the absence of four-wheel drive system and lockable diffs. It is still not known why the company gave the car only a limited off-roading capability and didn’t go the whole hog. So the next time you are planning to take a hike outside the city, where the roads are not well-paved, you might want to take the Fabia Scout with you. But don’t even think of going on an off-road adventure with the Skoda. You might just end up getting stuck in the mud.